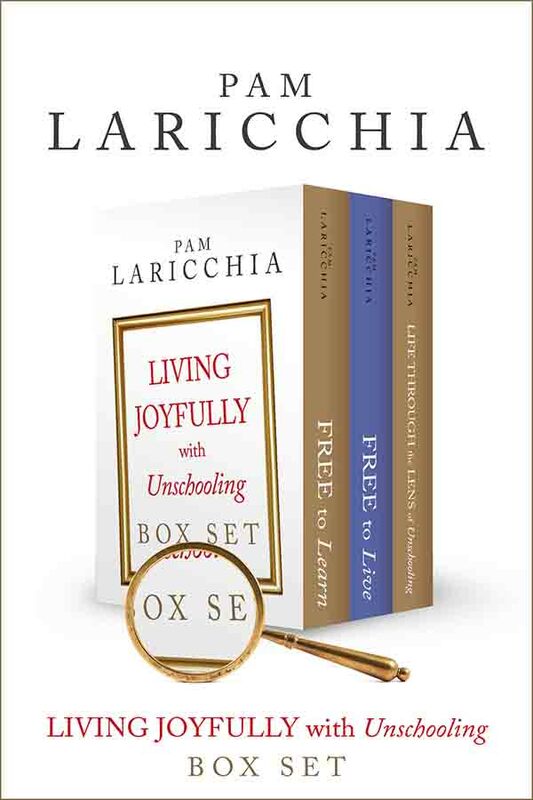 PAM: Hi everyone, I’m Pam Laricchia from livingjoyfully.ca and today I’m here with Alan Marshall. Hi Alan! ALAN: Sure. My wife Melody and I are both musicians, and we have three kids. Our oldest daughter is Adie, our middle daughter is Kate, and our youngest son is Gabriel. They are fourteen, nine, and five years old. 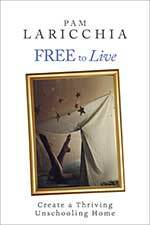 We have been unschooling from the very beginning. 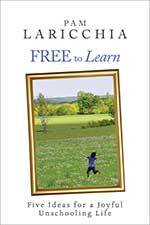 We started learning about the principles of unschooling back when our oldest, Adie, was first born. And we did a lot of research at that time and decided that we would unschool when she became school age. So, all of our children started unschooling from the beginning of when they would have gone to school, which here, where we live, we live in Oklahoma, is age five. We live in Oklahoma in the US, in a fairly small community, in southeastern Oklahoma. Ada, Oklahoma. 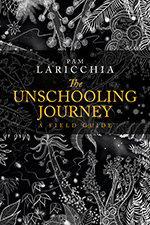 How did you come across unschooling, when your first child was born? Or around that time. I’m always curious as to where people actually hear it. ALAN: Around that time, yes. Just a few months old. I had thought about the idea of homeschooling, and so started to do some research online with the idea that we might homeschool. And before too long, came across a lot of resources about unschooling and found that really appealing, and so got a lot of information when our oldest was really young, and started to apply the principles of unschooling very early. For all intents and purposes, from birth, in terms of sleep times and sleep patterns and baby wearing and unlimited nursing and, so, that’s something that’s been part of how we parented from the beginning. PAM: Oh, that’s really wonderful. So when school age came, your days didn’t really change at all, did they? ALAN: No they didn’t at all. Where we live in Oklahoma the school requirements are really easy. You literally don’t have to do anything. You just don’t ever sign up for school, and there’s no other requirements. So, for us, there was really no change that came when they became school age. PAM: And now, you guys have been unschooling for almost a decade. Right? ALAN: Right on 10 years…Yes. PAM: Ah, yay. Good math! ALAN: Our oldest became school age in ‘08. Age five here, compulsory kindergarten. She could have gone to compulsory kindergarten, but that is not required here. 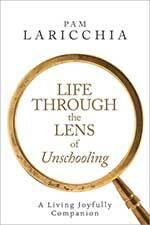 What has surprised you the most so far about how unschooling has unfolded in your lives? ALAN: Well, there have been a lot of common surprises as far as how things are for the children. Learning things in ways that my wife and I grew up believing sort of tacitly, aren’t possible. Like learning to read in a week. With our oldest daughter, something that was really surprising for me, even after doing research and understanding the principles behind it, the fact that my daughter just decided to set her own bedtime at a very early age, without being coerced or told or even had it mentioned to her, really, as I pointed to before, was just not on the list of possibilities. But starting at about age seven-ish, seven or eight or so, she just decided that she wanted to go to bed about nine o’clock every night and to wake up at about six in the morning every morning, and that’s what she still does all the time today. The common point of view is that that’s really not possible, that if you let somebody, or a child, stay up as long as they want, they will just stay up late all the time, for their entire life, and then sleep in, unless they’re given a reason not to. But for some people, maybe that’s true, but for her, she prefers to go to bed early and to wake up early. There were some humorous times that we had early on that we would ask if she would be willing to stay up a little later so that we wouldn’t need get up quite so early in the morning, back when we would need to get up with her to be safe, and you had the inconvenience of needing to get up at six in the morning with her, either my wife or I, because that’s what she preferred. PAM: It’s so fun to see how they explore just all their choices, right? All their options and find what is unique to them. I always love hearing about all of the individual kids, because they’ve all hit on things that, like you said, totally unexpected, but they work so well for the individual, don’t they? ALAN: Yeah. And it ended up working great for what she prefers to do and her priorities. It works perfectly for her. I’m kind of a night owl, so it doesn’t always work perfectly for me. We work that out. You had asked what was surprising. Something else I think is surprising and continues to kind of surprise me is kind of how deep school-ish thinking and school-ish thoughts kind of run, for us as the parents. About the time that I think I really understand and really have it all down and feel like I know how unschooling should work—and it is good that I have some confidence having done it for a long time—but I always discover a new schoolish thought, or hear my father speaking, hear my father’s words coming out of my mouth, inadvertently, and have to rededicate myself to thinking differently and to doing things differently. PAM: That’s such a great point! Exactly, you don’t realize it. It’s buried really deep inside, and then things happen and all of the sudden it’s been chipped free and out it pops. Like you said, I know, you can realize it intellectually, but I think something that’s been helpful is to also be nice to myself when that happens, you know what I mean? You need to work on it and everything, but not beat yourself up. Because that gets in the way of moving through it, doesn’t it? That just adds yet another layer you have to work through. ALAN: Oh yeah, absolutely. I don’t think it’s really helpful to feel like it’s not a big deal, like “All parents are like that. It’s just the way it’s meant to be.” That’s not good. But also, it’s not good to be so down on yourself that you made a mistake, that you don’t have the emotional ability to correct the mistake, to do better next time. PAM: I know. And it’s true that as they reach different milestones, different ages, you just reach things that, in the context of unschooling, just haven’t come up before. Even as young adults, there’s so many conventional messages that we’ve grown up with that we all encounter along the way. Your eldest chose to go to junior high school a couple of years ago. I was wondering if you could share a little bit about how she found that transition and whether or not you guys find it challenging to weave school and your unschooling principles together. ALAN: Well, the transition for Adie has been surprisingly easy and positive for her. I’ve told a few people who I’ve talked to about it that unschooling was the perfect preparation for her to go to school because her attitude about school is just very different than any of her peers. I mean noticeably, very different. If you go to talk to any of the teachers, to hear them talk about a student who wants to be there is really eye opening. Just the excitement they feel, to be able to have her there, because she truly wants to be there. That this was a decision that she made one her own—that this was what she wanted to do. And she has been, by any measure, successful so far in doing that. It’s been a positive experience for her, but also the feedback that we get from the school is that she’s wonderful. That she’s great. And I think that’s because she had a choice, she wants to do it. And this was something that we made a careful decision about. It was actually a few years between when she first started expressing an interest in it. We explored it then, and then we took some time to really help her understand what it is, and to be sure that this is really the choice she wanted to make, that she really understood what would be expected of her, and that she had all the information, and that she didn’t have any misinformation about what school was like, where she might be surprised by things not be what she was really wanting. PAM: Absolutely. She’s got choice, right? ALAN: There is no doubt in her mind that if she ever decided that she didn’t want to do that, she immediately could stop that. That really makes all the difference. And to experience that with somebody I’m close to and that I know—it’s really a revelation. Like I said, even for me, it was a surprise. And she’s caught up in school, in what would seem like record time. When she first went to school, she couldn’t write at all. Like, she had literally never written anything more than her name. And it was just a few weeks, and she was writing like all of her peers can. And she’s taking algebra this year. She had a little help with math her first year, kind of individual tutoring a little bit, and now she’s taking algebra. So, she taught me to do it. And you know she’s doing the equations and stuff, and she’s like, “Well, you just do it like this.” So, she’s completely caught up. There was no effect of her not going to school that I know of, that I can think of or have heard about. A few weeks, a few months, and she’s just like any other peers, which of course you hear about quite often, what you learn, particularly in the early years in school, you can learn in a few months, if you want to, and she needed to, so she learned it! PAM: Exactly. So, did she do much preparation schoolwork wise? ALAN: She didn’t do any preparation. PAM: Yeah. I just wanted to get that out there. ALAN: I mean, literally nothing. She’s a late reader, and she learned to read not because she was going to go to school, but because she got a phone. 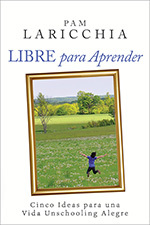 She learned to read a few months before she went to school, just because she had exposure to letters and words visually. She would look up how to spell things on her phone, and that went on for maybe three weeks or so, and then she could read. So, I guess you could say she prepared by learning to read but she wasn’t thinking, ‘I need to prepare to learn to read because I am going to go to school.’ She just thought, ‘I need to learn to read because I want to read my phone.’ So, she just did it. PAM: Exactly. A reason. A personal reason. How have you and Melody found how to weaving that schedule into your lives? I would assume you don’t bring a lot of the school’s expectations into it, right? PAM: And that’s kind of the end of it, right? ALAN: Yeah, and really, I kind of avoid knowing what her grades are. I don’t want that kind of school-ish thinking to kind of invade my attitudes. So, I just try to keep myself kind of ignorant of all that. I mean, there have been some minor inconveniences in scheduling and getting her everyplace. She rides the bus, so she’s at school before I wake up in the morning, and she’s home in the afternoon. In many ways, I’m unaware of most of the school things. Another impressive thing that she’s done to go to school, to decide she wants to go to school, she has completely done it independently. She makes her own lunch, she gets herself up, she goes to the bus. She’s responsible. She’s just taken responsibility for everything she needs to do to do it. Because, in her world, that’s just how you do it. It just didn’t occur to her to do anything other that everything she needed to do to do this thing that she wanted to—that was important to her. 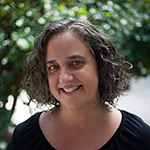 So, in a lot of ways, because of her and because of her initiative, it hasn’t been too much of an inconvenience, or hasn’t interfered very much at all with what we want to do with our other children who are still unschooling. She just leaves in the morning comes back in the afternoon and joins us when she gets home, and everything is as it was before. And so, again, I think we are fortunate with the way things are structured here where we live, that there’s not a lot of expectations on parents who have parents in school who we might think of as unreasonable or getting in the way or being heavy handed. And we try to be involved in an appropriate way—go talk to the teachers and show our interest and support her, so we are not keeping it at arm’s length, or anything like that, but we don’t have a lot of pressure on us to do certain things. There have been some minor expenses involved with, as you’d expect. PAM: That’s cool, and that’s such a great point: to be supportive of her and as involved as she’d like you to be, without that tipping over into expectations. Which is one of the reasons why you’re not interested in seeing the grades and stuff like that—you’re being careful not to tip over into having expectations or even, I guess, letting it play with your mind. As in, it’s just easy to think of: ‘good grades, that’s wonderful’ or ‘bad grades, uh oh.’ You know what I mean? It can affect your interactions. ALAN: Yeah. The danger is that I could be really proud if she got As or something, and the impact that that could have on then, if I’m really proud, or if I’m sort of being effusive about that, and then sometime she doesn’t get As, or something, than what message is that sending, that that’s what’s important. It would probably be subtle, I would probably wouldn’t be obvious about it because I’m an unschooler, but there could probably be some subtle message sent there. PAM: I know! Even not school-wise, with other things that my kids choose to do, I am careful to be as excited for them as they are for their accomplishment, because once you get into that, ‘Oh, I’m proud of you for…’ it kind of becomes about us. And then, you’re right—next time, if it doesn’t work out so well, then you’re stuck, and you’ve set yourself up for that judgement. Because it feels like a judgement coming from you, rather than support and excitement for them having accomplished whatever it is that they wanted to. It’s a subtle but really important difference, isn’t it? PAM: OK, now I wanted to dive into your experience as a professor teaching music. Because I think that music is another area that is really interesting to think of how we might bring an unschooling context to that. I came up with a couple examples that I have seen questions about over the years, and I wanted to get your perspective on them. When a child expresses an interest in music or in an instrument, so often the first thing we jump to is lessons, because it’s often not something that we are personally skilled at. So, we sign them up for guitar lessons or piano lessons or violin lessons. I was wondering, in your experience, whether or not that’s the best first step when a child expresses an interest? ALAN: I would say that it really depends on the situation very much. I would be really hesitant to make a blanket statement like, “Lessons are always the best thing to start with,’ or “Never start with lessons—that’s a disaster,” or that unschoolers should never have their children take lessons, because I think it really depends on the interest of the child and how the child acquired that interest. It also depends on the reality of how you can learn to play the instrument, or whatever musical or artistic endeavor you’re doing. If you get interested in playing the harp, you know, the classical harp. That’s hard, that’s fairly hard to do on your own, for fun. It’s a very expensive instrument, it’s very specialized. Probably the best way to learn how to play the harp is to find somebody who already can play the harp and have them help you. Now, that doesn’t mean you have to give that person a cheque and have them give you formal lessons for 60 minutes per week, necessarily. But if you want to do something that specialized, you’re probably going to have to find somebody to help. But the guitar, you can go on YouTube, and even if you don’t know anything about playing guitar, or anything about music, your child can go on YouTube and get free guitar lessons 24 hours a day. Guitars are more ubiquitous and inexpensive, and I think we all know of people—people who aren’t even unschoolers—who just learn to play the guitar for fun. And they don’t necessarily need formal lessons. They might want to take formal lessons at some point, or they might be a rock star and never need a lesson in their life. So, it depends a lot on each individual situation, the temperament of the child—or the person who’s wanting to learn, doesn’t always have to be children. Adults can learn instruments and learn music too. And enjoy music too. And also, the availability of lessons. And how, in your individual situation, taking lessons could involve pressure that isn’t helpful from the teacher. Sometimes the culture of music education is not as helpful as it could be in some places as in other places. If you can find a teacher who’s willing to work with your child and make it fun for them and not put pressure on them, then lessons could be a really great experience for them. But if you are in a situation where, it’s all practice, “You have to practice five hours a day, and I’m the teacher and you’re the student and you have to do what I say,”—they’re very regimented—taking lessons could decrease their interest in music rather than nurturing it. 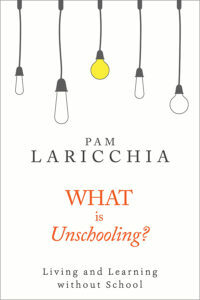 PAM: I’ve gotta say, it’s really an unschooling kind of answer, right, because it depends on the individual! ALAN: What I can offer as a musician that non-musicians may not know is, how much it depends. There are a lot of variables, and if you’re not a musician, you may not think about those variables. I think it depends on the person too! I mean there are people who are like, “I want to be a concert pianist one day!” Rather than, “I’d like to play piano for fun sometimes.” And there are probably more people doing it just for fun than people who are really serious about it. Understanding, there’s a lot of in between too, it’s on a spectrum. And understand really what the interest is. I think that really might be the most important thing, is really getting into the details of what the interest is. To play the piano or sing or play the clarinet—that’s not specific enough of an interest of an understanding of what the interest is that the child has. Why do you want to play the clarinet? What kind of music? For how long, maybe? Even though it’s ok to change your mind about that. So, I would encourage getting lots of information about what your child wants and also about what the situation is and what the possibilities are. The thing about lessons is that it’s perfectly legal to stop taking them. I would encourage making short-term arrangements at first. Like, “Hey, we want to try this for a couple weeks and see how it works.” Like, “Could I just pay for a few lessons and see if she or he likes it?” Rather than making a big, long term commitment. PAM: I think that’s such a great point, about just meshing with the culture of that teacher or that music school or whatever. Because so often I think that we can latch on to ‘we’ve heard something good about it’ or ‘it’s the closest music school’ or ‘it’s the only one in town!’ or whatever, and we can try to get our child to fit into that environment, right? So, if they tell us “They have to practice for X amounts of hours,” or “They have to start with this book and don’t skip ahead—they have to start with lesson one,” you think you have to. It almost puts us back in a student role, right? And then were like, “Oh, we gotta do this, we gotta do this” and all the sudden we are pushing that on our child. You really can pick and choose the environment that meshes well with your child, and, like you said, what are they looking for. Are they looking to just be able to play and make some music that they recognize? Or do they have bigger goals with it? that kind of stuff. So, the conversation is with them, and what they are seeing in the future of this interest, and then finding the environment that meshes well with them, right? Does that make sense? PAM: That’s a great point, and that’s basically the next question! I know I’ve done that a couple of times, that with karate, it’s like, “No, it’s not a big pressure for the next belt, I want him to enjoy! It takes as long as it takes!” I remember once, it was a computer programming camp, and there weren’t many students who came in the summer, and I said, you know what, don’t worry about it, you don’t have to show me some working program at the end of the week. Just do whatever he wants to do and don’t worry about it. I didn’t know either one of those things in any detail, but I knew what my child was wanting out of the experience. Because that’s where the best learning is going to happen, too and that’s where they are going to learn more about how they feel about whatever the activity is that they are doing. Maybe they’re more excited and they want to continue with lessons, or maybe they find, ‘This is enough for now,’ etc. But I think they get a better experience with what they’re interested in. It’s an interest of theirs and if they enjoy it, that’s my goal, rather than whatever steps of progress they have set out, I guess to prove that they are doing their jobs, maybe? I was wondering how, in the bigger picture, you see music and, or really any, art weaving together with unschooling? ALAN: Well, you were talking about practice, and that made me think about the idea of formal practice. And actually, I would discourage, particularly someone starting to do music and most other arts from doing practice. I would say, ‘don’t practice.’ And really, I think the problem is formal practice. Like, ‘I’m going to sit down now, and I’m going to practice the piano for an hour because it’s my practice time.’ Because I think that just doing that is pretty doomed to be counterproductive. In my opinion, as a musician, and somebody who wants to help people who want to learn about music, that has discouraged a lot more music making than it’s helped. For most people, if you start by saying, ‘I’m going to practice an hour a day,’ even if they are motivated, even if they want to do it, that is often not the best way to help them learn about music. I think it is much better to get involved in music-making, and if you child wants to be involved in music, for example, or in any art form, particularly something that involves performing, getting involved yourself in music-making with your child in some way, I think that might be the unschooling way to do it—not, whether or not you take lessons, or whether or not the child chooses to take lessons or that’s the best option for them. I wouldn’t just send my child off and just say, “Go take lessons,” and then pay your money and then, “You’ve learned your music from the lessons and you’re done,” but get involved with them. Help them find ways to create opportunities. Cause that’s what real practice is. ALAN: 10,000 hours, Yeah, I wish it was a thousand hours! ALAN: 10, 000 hour rule. You have to have 10,000 hours in order to master something. I don’t know if that’s true or not. It’s certainly true that practice is important. You aren’t going to get 10,000 hours of practice sitting down and forcing yourself to practice an hour a day or five hours a day. You’re going to find ways to not really do it if it’s drudgery—and that’s even if you want to do it. You’re not going to practice an hour a day if you don’t want to. You might tinkle around on the keyboard and seem like you’re practicing so you don’t get in trouble, but you’re not going to practice. But if you’re involved in making music that you’re interested in and you care about, than that counts as practice, particularly if you’re doing it with other people. So, the ideal is that you’re actually physically there doing it with them. You could find them opportunities, help find groups they can play in. They could sing in a choir, or play with a band or an orchestra, some community bands and choirs and orchestras, they take you and your child, maybe, if you can, if you play—if you don’t, that’s ok too. Again, I don’t want to say that that’s never ok, because, actually, my daughter had wanted to play the flute, and she actually said, “I want to take flute lessons.” First time she ever played the flute was at her lessons. Again, that was very specific situation, she had a very definite idea of what she wanted to do and how she wanted to do it. But my daughter loves to sing. She kind of inherited that. My wife and I are both professional singers. She wanted to sing, and it was because we are a musical family, it was just really part of the background always. She just started singing with us in choir, in church choir, and just started doing little performances. She’d learn a song, and then she’d find a way to perform it. And then, after she’d done that for a good three or four years—starting very small, doing it very occasionally and then doing it more and more—then she decided she wanted to take voice lessons, as a continuation of that. It can happen both ways, but in both cases, we are with our daughter, making music, almost every day. It’s not just musical families that can do that. For anything, you can find a way to do that. And to me that, for the arts, for anything, that’s the unschooling principle that can be the most valuable. And, if your child is interested, it can eventually lead to that traditional, ‘wins a contest’ or something. Eventually something like that will happen, but if you just aim for that from the beginning, it’s less likely to happen, and much less fun along the way. PAM: That’s so true. When you’ve got a goal, like something that you want to accomplish, it’s just more intrinsically motivating to get there, when it’s not something that’s 10,000 steps away, you know what I mean? Something that is achievable, it’s on the edge of your competence, so you need to learn to get there, so you’re motivated. It’s something that you want to do so you’ll pick up the instrument or the art or whatever it is, whenever you have a moment, because you want to, right? So, rather than, ‘I need to do this for one hour because someday I want to be able to do X,’ if you’re excited to get to that step that you can just see really close, you’ll do it whenever you have a moment. My son Michael, he’s somebody who wanted to learn the guitar, and he has learned through YouTube. And I sit in the other room, and I don’t know if he’s playing music, or he’s literally playing it himself. So that has been a good experience for him. We went into the local music store a couple of years ago now, because he finally gotten to a place where he actually wanted his own guitar. We had a few lying around, and he wanted his own guitar, so we went to the local shop and he talked to the guy for an hour, and he had a grand old time picking out his own guitar. But he comes from home from work, and he gets home 11:30, 12 at night, and I wake up and hear him playing—he picks it up whenever he’s got the time. There’s just something, whenever someone tells you you have to do something, that you resist, that instead of that hour, you find that, whenever you have an hour, you just dive into it. It’s just a different mindset. ALAN: And I don’t think that anybody has ever become truly a master at something or really great at something or achieved something remarkable, in music or in any other field, by forcing themselves to be interested in it. You don’t practice 10,000 hours or whatever it is, in order to become interested in being a musician. You practice the 10,000 hours because you’re interested. PAM: That’s a great point, yeah. ALAN: And there’s a lot of evidence that a lot of the talents that people have actually comes from that intense interest and practice. That a lot of people who are so talented that they practice more than anyone else, but to them, it doesn’t seem like practice, so it comes naturally. PAM: Yeah, they’re just doing it, right? ALAN: Yeah, it seems like an amazing talent, right? And it’s not necessarily that you couldn’t have that talent too, it’s just that you’re not that interested. You’re doing something else that you’re talented at. PAM: Exactly. And that comes back to choice again. ALAN: I wouldn’t want anyone to feel like in order for a child to be interested in music that they have to have the, sort of, genetic background in being a good musician. That could be one way to get interested in music. Your child could be a great musician even if you’re not. It’s possible. But you just have to let your child decide for themselves, to discover whether they have that gift, and also whether they want to pursue that gift. And it’s ok if they don’t! But don’t assume it can’t be done because it’s not you. 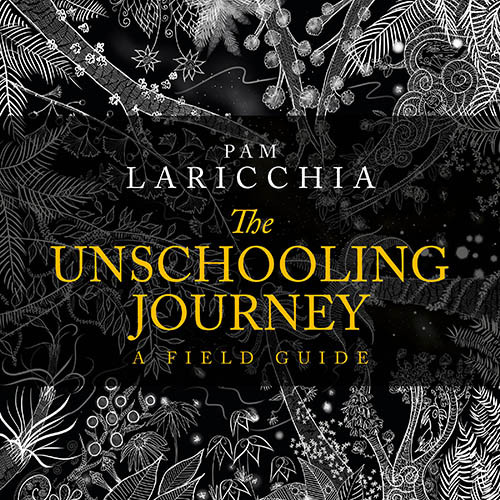 PAM: And you know something that I’ve found through unschooling, I have found an interest in so many things that I did not know that I would enjoy before having kids by being introduced to it by them. And then, all of the sudden, “Wow, this is fun!” and “I’d love to do this with you” etc. So, like you said, even if you’re not musical, and even if you don’t think you could be music, when you keep that open mind and support and try to engage in things they are interested in, you may be surprised at all of the interesting things that are out there in the world that you may find yourself enjoying. When you keep an open mind, our kids introduce us to so many fascinating things that we wouldn’t have ever imagined we’d be interested in. Have you found that? ALAN: Yes! For me, my youngest son, he’s only five years old, but he’s only interested in boy things. You know, trucks and guns and so. I’ve always been a music nerd and not that interested in those sorts of things, but now I’m starting to explore that side of myself which I didn’t really even know existed. Just by, you know, video games. I’ve never played a video game in my life! So, I’m helping him play his video games, just in the natural course of just helping him do what he wants to do, I’m having some different experiences, so it’ll be fun to find out if that continues. PAM: Our children expand our world so much, I think. OK, now we’ll get to that last question. As an unschooling dad, I was wondering what piece of advice you’d like to share with other dads who are maybe considering unschooling or just starting out on this journey. ALAN: For me, the thing that I’ve had to try to be conscious of the most, and I think this is related to my gender, as far as I can tell—to the extent that I am self-aware, I think this might be gender related—I have to really think about being involved day-to-day, moment-to-moment, with my kids. This may not be something that all men share, but, in my example growing up, the male parent was maybe a little bit at a distance. Kinda maybe didn’t do the day-to-day, nitty-gritty work of parenting, always. That’s not necessarily because of traditional gender roles only. Sometimes it can be more subtle than that. I don’t know, for me, I’ve found that I really need to be aware of that. And to make a conscious decision to, ‘I’m going to do this a little differently than what was shown to me when I was younger, or what the cultural expectations might still be.’ Even though I’m not a traditional dad, in the moment, when I’m actually interacting with my children, I need to decide that I’m not going to be the traditional male—I’m going to be playful, I’m going to joke around, I’m going to do guy-stuff with my son, even if that’s not my immediate natural inclination. So that’s what occurs to me that it might be helpful to talk about with other men, to maybe be aware of that tendency. Whether you’re a traditional sort of bread winner and you come home in the evening and see your kids in the evening, or even if you are a stay-at-home dad and you’re the primary caregiver, that might be going on. That dynamic might be there. I just think that’s something that might be worth considering. PAM: Yeah, that’s a great point. And the tendency, especially if our kids our occupied and doing things, the tendency is to pull back and do our own things. There’s just so much that we get out of that connection when we do engage with them, right? So, you’re finding that to be a positive experience, yeah? I wouldn’t want to force myself to do it in an, ‘I’ve gotta go play with the kids now so that I can be a good unschooler,’ way. That’s not an attitude that would be helpful at all, I don’t think. More just, when the opportunity arises, you know, go out of your comfort zone a little. PAM: Back to ticking off those boxes. ALAN: I don’t think that would be helpful. But the time you do spend with them, just kind of expand your idea of what that means a little bit. PAM: That’s such a really great point, Alan. Thank you for bringing that up. And I want to thank you for taking the time to talk with me today! I really appreciate it. 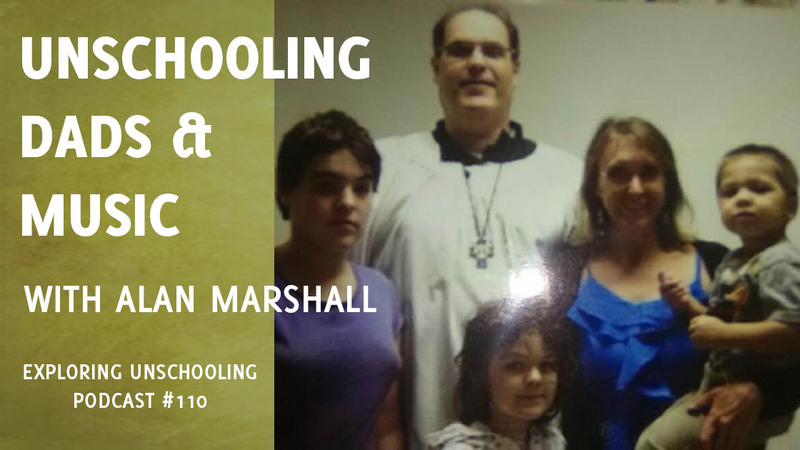 Especially your perspective on music and lessons, and I always love hearing about other families and their unschooling experiences. So, thank you very much. ALAN: Thank you. Thanks for asking me! And before we got, where is the best place for people to connect with you online. ALAN: Facebook, that’s the best, easiest place to find me. Alan Marshall. A-L-A-N Marshall. And I’m in Radical Unschooling Info. PAM: I will put those links in the show notes. Thank you very much! Have a wonderful day! ALAN: You too. I appreciate it.